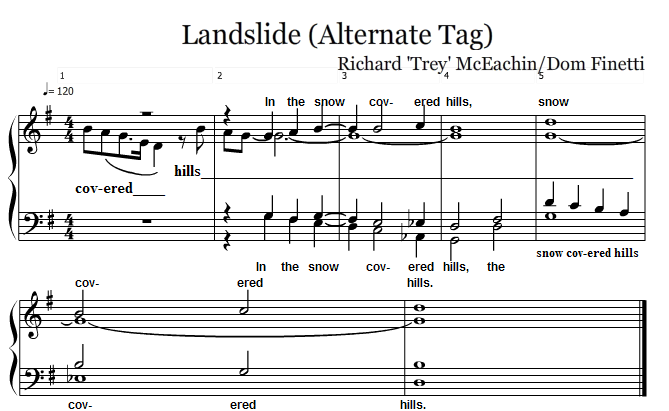 Lyrics: in the snow covered hills,___ snow__________ covered hills. Comments: Really nice, pretty tag. The original version ends on measure 4 on the first chord, but I wanted to take it a little longer. Props to my buddy Trey for arranging the original, as well as the full arrangement. can also be sang for guys, without altering the parts.